Interzoo is the largest international aquarium-based trade show on the planet, and it just so happens to be right around the corner. With the date quickly approaching, we’re starting to hear rumblings of new products that will be announced at the massive event, leading off with a new item from Vertex Aquaristik. In a move that shouldn’t even remotely come as a surprise, Vertex looks as though they will be announcing a larger model to their popular Omega protein skimmer line. While we don’t have any specifics about the products, as Vertex wouldn’t immediately address our questions, we do know that it will be the Omega 180 based on the engraving on what is very likely the skimmer’s lid. We assume the Omega 180 will utilize the same wine glass body, Sicce Syncra pump, bubble diffuser plate, vibration dampening pads, and other features found in the rest of the lineup, only beefed up to handle a heavier bioload. 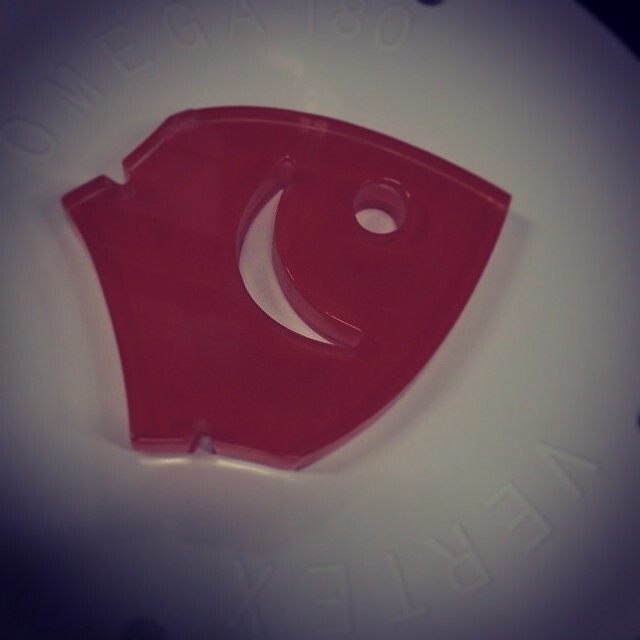 We did notice that large red fish, part of the Vertex branding, on the skimmer lid, which is absent in the original design of the Omega. Perhaps this is the only subtle change, but perhaps there is more. We’ll know more about the Omega 180 as the show draws closer.